Order the Book Today and Get Instant Access to All the Bonus Gifts on This Page FREE! 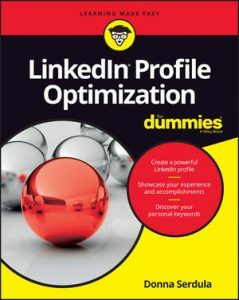 I can't personally critique your LinkedIn profile but using this quiz, it's like having me give you tips and tricks to best optimize your profile! 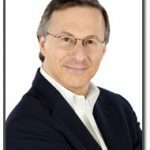 Take my Profile Critique to learn whether your LinkedIn profile is POWERFUL or in need of a makeover. 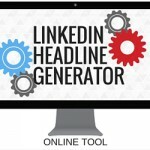 Creating a POWERFUL LinkedIn Headline can be as EASY AS 1-2-3 when you use my LinkedIn Headline Generator! This simple and easy to follow app walks you through how to create a POWERFUL, keyword-packed LinkedIn Headline! Choose your terms and in seconds you have an engaging, professional LinkedIn Headline that impresses! Your brand is how people perceive you - you can control and shape this image. This checklist provides you everything you need to get your online brand to shine! My list of helpful LinkedIn resources to get you into super user territory before you know it! 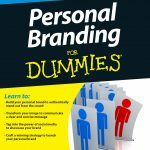 Read the first chapter of Susan Chritton's book, Personal Branding For Dummies. This book is your guide to creating and maintaining a personal trademark by equating self-impression with other people's perceptions.